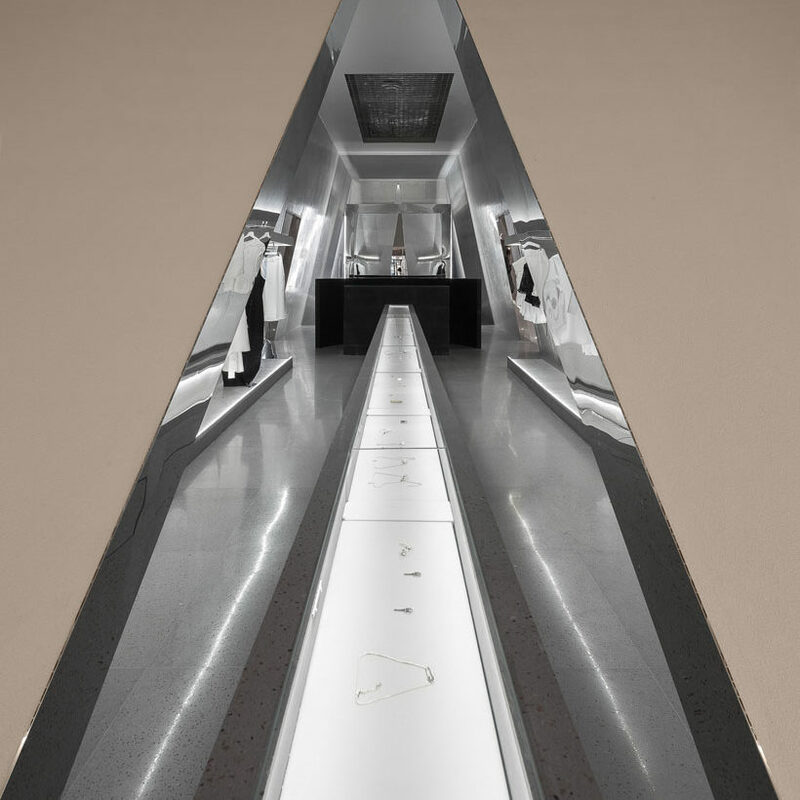 Daring geometric forms and striking materials, perfect symmetries and reflecting surfaces. 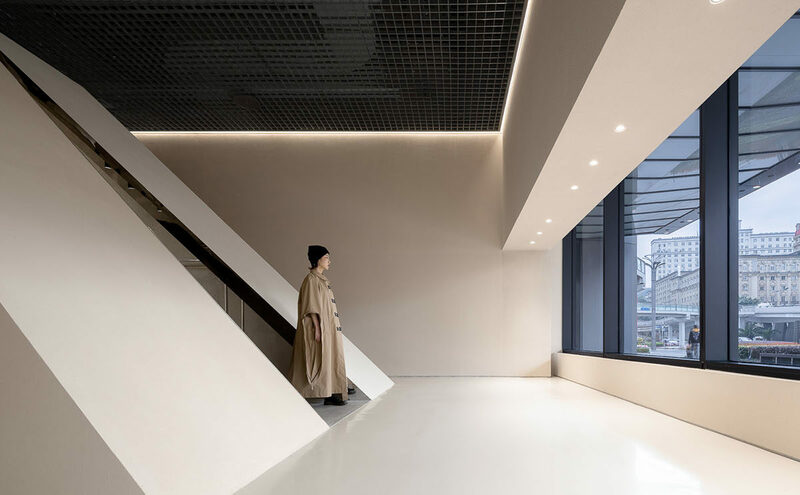 For the new SND fashion boutique at Chongqing, in China, the studio Various Associates has created a project with pure lines, marked by a large inclined cube that contains an intriguing (and mysterious) display area, open on both sides. 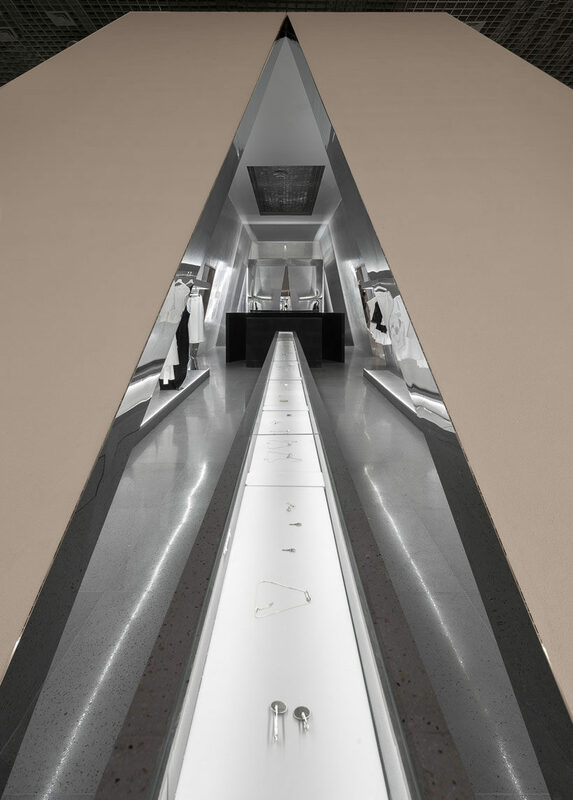 The store, inside the shopping center Shin Kong Place, offers an unusual immersive experience, exploring the relationship between body and space. 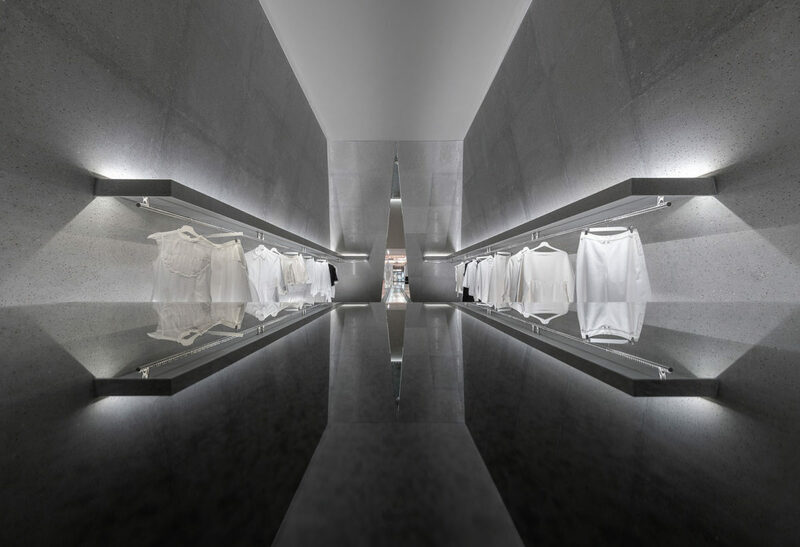 The architectural layout is like a place of worship, in a display itinerary that enhances the products. Inside the cube the symmetrical effects and reflecting surfaces generate a futuristic but also reverential atmosphere. The delicate tone and silky touch of the outside of the cube form a contrast with the rugged texture of the volcanic stone and the reflecting finishes inside.